I am in no way pretending to know much about buying gold, but I will share with you what I have learned so far. At least you won’t have to start off from scratch in your own research. First off, hat tip to one of my relatives who first asked me what I thought about gold. I am sure he got an email longer than anticipated but that email was a nice foundation to form this post. I got interested in gold because it has always been pitched as a hedge against inflation. Since I think inflation is the elephant in the room, it’s worth discussing. 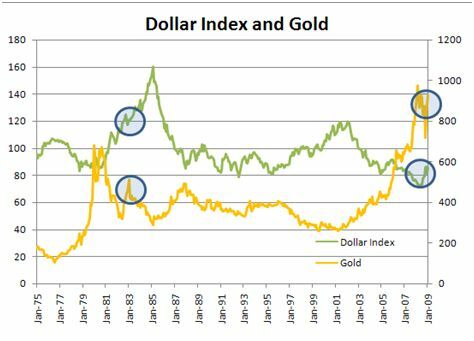 As you can see from this graph, as the dollar declines in value, gold goes up and as the dollar rises, gold goes down. Therefore, inflationary bears consider gold a nice way to hold value during a declining dollar. The spot price for gold can be seen here. A brief word on karats, as opposed to carats. Karat (kt) is the purity of gold (metal alloys) while carat (ct) is the measure of gemstones. Be careful what karat gold you are buying. Karats can be 1, 8, 9, 10, 14, 15, 18, 20, 22, 24. So, a 12kt item is 50% gold compared to a 24kt item that is 100% gold. Another brief word on gold versus silver. Both move in the opposite direction of the dollar as both are considered hedges against inflation. 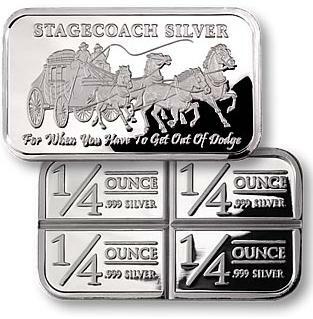 Silver is much cheaper and therefore can be bought in smaller volumes with fewer dollars making it more affordable to most people over gold. It’s up to you and what you want to spend. There are basically six ways to buy gold, for the layman. Bullion is nice because you can physically have the gold readily available to you which is great if the world goes to hell, because no matter what happens, gold is money baby, while U.S. dollars will only be worth the heat they bring from burning them. It is somewhat risky to have gold at your house because of theft, a consideration. Also, if you store it at a bank you have the additional monthly fees of a safe deposit box. Lastly, if the U.S. confiscates gold, which it’s done before, you could be forced to turn it over, but that would also apply to coins, certificates…any investment in gold anywhere. At least with bullion you could bury it in the backyard and tell the Feds you lost it. Paper investments are easy to trace. This is mostly unlikely, but again, that risk exists, you have to consider all possibilities. What I think is more likely is the government putting some ridiculous tax on gold purchases or investments which would just destroy any incentive in buying gold. 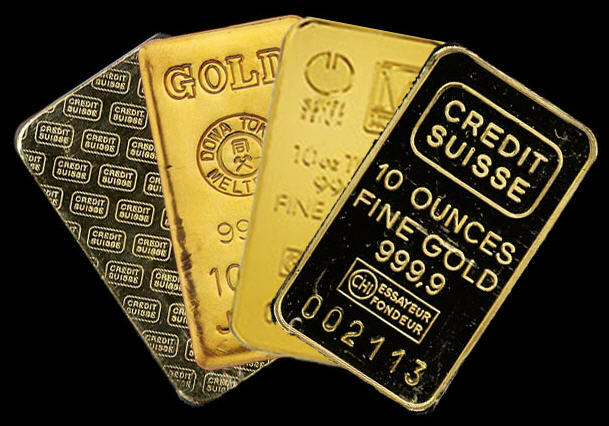 In bullion, take a look at the Northwest Territorial Mint, APMEX or Bullion Direct. ETF’s (Exchange Traded Funds) like GLD or IAU are nice because they track gold almost in lock-step. Your cost is the buy-in at the current value and the trade fee. However, these are useless if the world goes to hell, but again, unlikely. With ETF’s you can realize any increased value in gold without actually physically holding any of it. Mining Shares have the potential for better returns than gold because like any other company, good ones will enjoy a premium of profits on top of the value of the product or service they are producing. In this case, gold mines will have higher returns because gold will be in high demand. The profits from a mining operation that happens to be in a heavily demanded commodity will drive up their stock price. However, the downside risk is the same as with any company. The owner could buy a private jet, a mansion, lose some monumental bets on the ponies and drive his company into the ground. Point is, gold by itself is only dependant on the market to drive its demand and therefore its value, but mining shares of gold mines are dependant on the demand for gold and on the humans who run it to have brains enough to run the company well. Gold Certificates are certificates you buy, but the gold is held somewhere else. I like the Perth Mint in Australia. It’s backed by Lloyd’s of London and the government of Australia which is heavily dependent on the success of its mining infrastructure. Again, you don’t physically have the gold with you which means it’s safe, but if all hell breaks loose the certificates are only worth burning right next to your U.S. dollars. Outside of that, you do own the gold in the mint and you can convert it back whenever you want and enjoy whatever appreciation it’s acquired along the way. Collectible Gold Coins are cool, easy to carry (in your pockets, as opposed to jewelry), and they are gold….but…they are often minted with another metal, so they are not always 24kt, .999% pure. The other metal could be something like nickel, which is added to make the coin more durable. So be careful to compare apples to apples….don’t spot price .999% pure 1 oz gold bullion on the open market and find a 1 oz gold coin that’s cheaper and assume you have a great deal. Some of that coin might not be gold. Also, collector coins are fickle like all collectibles. It can cost more than the value of the pure gold because it’s a popular coin, so you are paying for its collectibility rather than just its gold value. If that popularity swings the other way, now its only worth the value of its gold – so you could buy high and sell low just because it’s a coin nobody likes anymore. Jewelry is pretty and cool, easy to carry (exposed, on the outside, as opposed to coins in your pocket), but suffers the same risks as coin. They could be mixed with another alloy and they are priced based on the coolness factor which varies between the eyes of the beholders. Speaking of coolness factors. I can’t help but find krugerrands cool and these silver bars from the Northwest Territorial Mint. I haven’t bought any of either, at least not yet, but I think they are cool. The silver bars actually have indentations in them that let you snap them into 1/4 oz pieces, sort of like how you can snap apart small pieces of a Hershey chocolate bar. The purpose of that is if you do need to use the bar as actual currency, it’s easy enough to break into smaller denominations. Ideal for that unlikely “end-of-the-world” scenario, but they’re still pretty cool. Again, as usual, I get nothing from anything I recommend. These are just my own personal opinions based on what I have read and my research. So have at it, and decide if maybe having some money in gold (or silver) is not such a bad idea.